I was in Mexico working with a local official to organize a high school basketball tournament. He was charging ahead enthusiastically, but I couldn’t get him to focus on the details of planning. I asked him how many teams would be playing and how many gymnasiums were available, and he brushed me off. I asked him how many referees he had arranged and how many days the tournament would run, and he didn’t see why these things were important. “Everything is good. Everything is arranged.” But when I did the math for him, it was clear that he hadn’t made adequate arrangements. It was frustrating to have to work with someone who refused to focus on practical problems. What did the dream mean? I don't have the foggiest idea! I’ve always had trouble making sense of my own dreams. On the other hand, I’ve had pretty good success interpreting other people’s dreams. It's not that much different from interpreting literature, which my Ph.D. in English qualified me to do. I was being attacked by a large man with a knife. He seemed intent on killing me. He chased me relentlessly. I was terrified, but I couldn’t run away fast enough. I tried as hard as I could to move my feet, but I didn't seem to be going anywhere. Eventually, he caught me and stabbed at my face, cutting my lip. I didn’t feel any pain, but I was afraid he would kill me. That’s when I woke up. I offered this explanation: “While asleep, your mind is probably picking up on fresh emotions related to your being laid off recently. As a result, you see the world out there as huge and impersonal and perilous. You feel threatened right now and vulnerable. Since you lost your source of income, the practical threats to your life seem very real to you. You’d like to do something about it, but there’s nothing promising out there right now, and you can’t seem to escape being hurt financially.” My friend thought the interpretation was on target. People are often disturbed by their dreams. Dreams seem strange and mysterious, and people worry about what they might mean. To understand dreams, I think it helps to know why we dream in the first place. I've checked what current research has to say on this issue. As I’ve mentioned several times before, I’ve done a lot of reading about the brain, and over the years I've revisited the scientific literature on dreaming a number of times. The bottom line: scientists still don't know why we dream. There are a lot of theories, some of them over 100 years old, but none of them have been validated by research. I have my preferred theory about why we dream, and it's based in part on why we sleep. Researchers have much to say about that, but it’s mostly descriptive. They’ve identified three stages of sleep, in which EEGs show low-frequency brain waves, accompanied by reduced muscle tone, heart rate and breathing. These three stages are believed to be preparatory stages, after which the brain switches into a fourth, much deeper stage of sleep, which is marked by high-frequency brain waves, and practically no muscle tone. This is known as REM (rapid-eye-movement) sleep, which lasts 30-45 minutes and begins again in cycles of 90-120 minutes. Subjects report dreams five times as often in this fourth stage. The most plausible explanation for why we sleep is that when the brain is active during waking hours, brain cell metabolism produces chemical byproducts. These need to be cleared out on a regular basis or they accumulate and get in the way of normal neurotransmitter activity, a sensation we recognize as being "mentally tired." This is similar to what happens during "muscle fatigue." Prolonged use of a muscle area creates the waste byproducts of exercise metabolism, causing the sensation of physical fatigue. With rest, the body has time to remove these byproducts. Similarly, the whole body requires rest in order to regenerate. The autonomic nervous system consists of two subsystems: sympathetic and parasympathetic. Both cannot be active at the same time; when one predominates, the other is switched off. When we’re active and coping with challenges and stressful situations, we're using our sympathetic nervous system. In this state, the human organism uses up energy. When we're calm and passive, the parasympathetic nervous system kicks in, so that the body can repair and restore itself. During rest, the immune system builds itself back up again. Without rest, we heal more slowly and are more vulnerable to disease. The importance of sleep, then, is that it forces this mental and physical inactivity upon us. The above describes what happens, but it doesn’t explain why people dream while sleeping. Freud believed that dreams were the experience of “the unconscious,” a repository for sexual and violent urges too raw to be dealt with consciously. Another long-standing theory is that dreams are how people sort through and integrate daily experience. I've also heard some say that dreams occur because the creative part of ourselves needs to be free to express itself, which it can't do adequately while we're awake. But these are all unproven speculations. I side with the more recent notion that we dream because during sleep, the brain doesn't completely shut down. 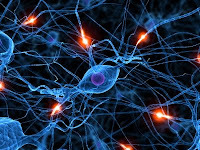 The neurons continue to fire at a low level, even without continuous input from the senses, which are turned off during sleep (see The Dreaming Brain, by J. Allan Hobson, Basic Books, 1988). In this view, dreams are nothing more than the mental experience we have when the brain can no longer organize itself based on external reality. In REM sleep, intense emotions associate with remembered images or create new ones in no orderly structure or sequence or time sense. That's why dreams seem strange; recent impressions relate to memories by association, not by logic or the familiar, understandable input from the real world. And that's why dreams are hard to remember. They're stored in short-term memory; but because they don't have a clear relation to the real world, it's hard to integrate them into long-term memory. And upon waking, anything left in short-term memory is wiped clean in a few seconds, unless you make an effort to think about it. What do our dreams mean? Well, I don’t think they have any intrinsic meaning. But they often contain images and feelings that have been recently active during wakefulness and so are more easily associated in unconsciousness. Consequently, dreams sometimes parallel issues that have been going on in daily life. Other times, dreams are just bizarre associations that don't add up to a significant parallel in one's life. I had a training job with one of my former clients, a small government agency in Washington, DC. They were in a new building, so I got there about 6:00 am and a lot of people were already there. My wife and another couple were there, and we drove in their car to another town to get breakfast. I needed to get back, but the couple didn’t have time to drive me. I had trouble getting a cab, and I was late getting back. I hadn't talked with the director yet, so I was unprepared. The four of us never did get our breakfast because the wait was too long, so I was hungry on top of everything else. I told him: "The dream reflects your perception of work. You have so many challenges that you have to work long days. You start early and stay late. Your tasks are complicated by the needs of other people, which you also try to satisfy, but sometimes it all seems too much to get done. You do your best, but unforeseen problems happen, and you can’t get everything done, including your personal needs. You feel ineffective." I was in a hotel room that was adjacent to a clothing store. Two guys broke into my room while I was in the bathroom. I could see them but they couldn't see me. I watched them go into the store, take clothing and other items and carry them out of the store through my room without paying for it. I went to the front desk to report them and then I realized that if they could steal, they might also be capable of hurting me. I thought about trying to identify the two guys but there were no pictures to review. Also, I was afraid they might come after me. I gave him my interpretation: "The hotel represents the world of business, which you see as a threatening place where bad things happen. You're a participant there, and you’d like to do the right things, but there are huge risks. It seems almost impossible, and you’re afraid you could become a victim." He said, "Yes, my firm is really small, we're in a tough time right now, and I feel a lot of pressure to make it work. It's a jungle out there." Until research proves me wrong, I’m sticking with my theory. It works for me, and my literary interpretation skills allow me to impress my friends. For me, dreams typically reflect visual experiences I've recently had. So if I play tetris for three hours before bed, I'll have tetris in my dreams. What really gets me are the recurring themes in some dreams. Or re-runs of prior dreams I've had years ago. But like the random crash of thoughts I have when my mind wanders in a tired moment, mostly I just think it's mixture of memories of visual experiences and thoughts, nothing that should be interpreted as an important "message". Another theory, which is based on evolutionary biology, is that dreams teach us how to deal with dangers we may face in waking life. The Ancients, and until very recently nearly all men, believed in the spirit world. They believed that beings from the spirit world spoke to us and that things of the heart were more important, so dreams should be considered. Job, the oldest of the Biblical texts, says this and gives several ways this happens, including dreams. In much of the world today, outside the U.S. and Western Europe, people pretty much "know" this. People who believe this do not think all dreams are communications from Spirit but the ones that are seem important and can be extremely helpful and encouraging in my experience. I was a skeptic for 40 years, but I have reconsidered what these "night parables" or poems of the mind might mean. By the way, the source of the dreams was also the source of the interpretation in the case of Joseph and Daniel, men who led and even saved nations based upon dreams or their interpretations. These were not silly people. Dennis: How can you say dreams have no intrinsic meaning and yet you go on to interpret your colleague's dreams with success? You affirmed that the dreamers agree with your interpretations. So, from the rest of what I'm reading, you believe that dreams offer a new viewpoint on how the dreamer feels about his place in the world. What I love about dreams is just that; I get a-ha moments about how I'm really feeling about daily life after writing them down, and then I can introspect my daily thoughts from a revised point of view. Jessica, I don't think every dream comes with a meaning. But it can be meaningful sometimes to ask why certain dreams have certain images and themes. THAT might mean we're thinking and feeling certain things, which can produce meaningful self-awareness. But certainly not always. Sometimes the images and themes the brain collects aren't useful guides and produce no useful revelations.